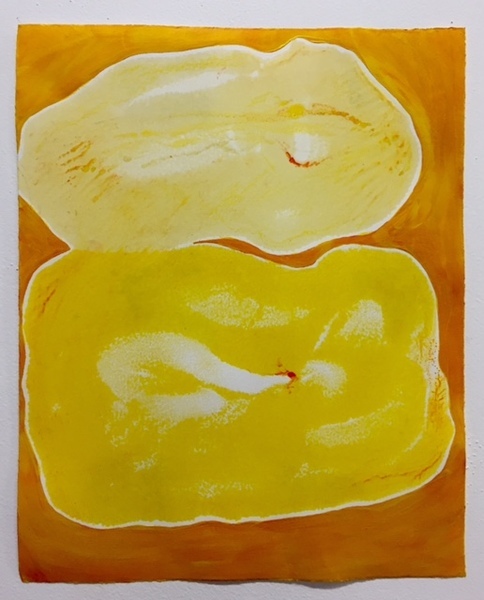 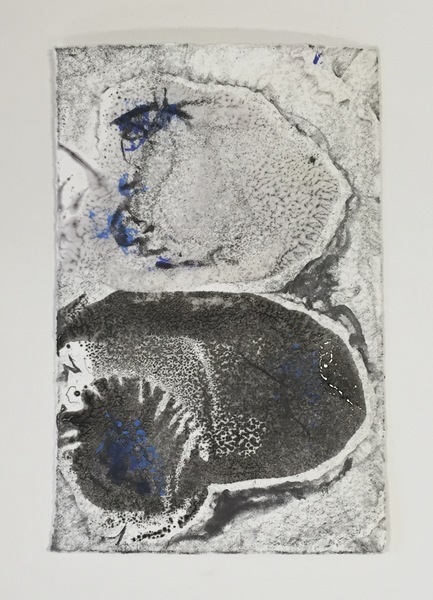 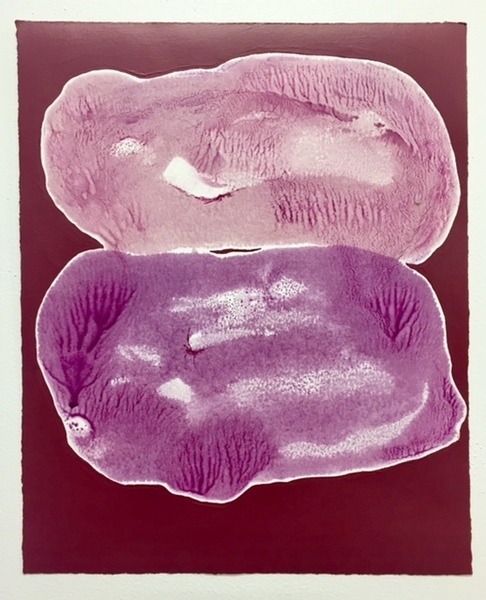 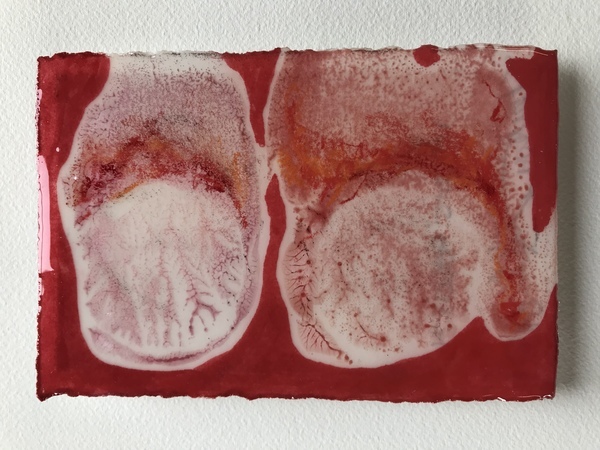 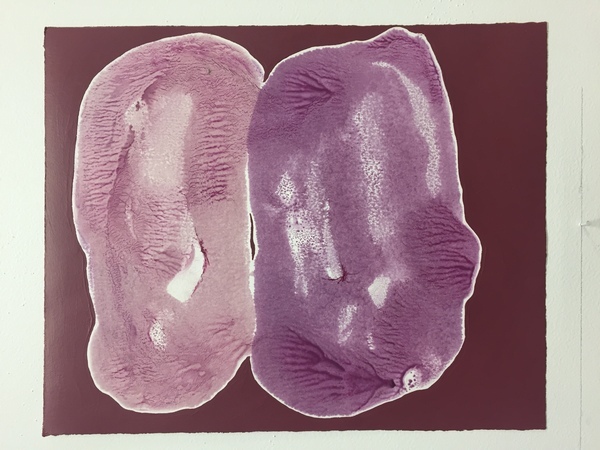 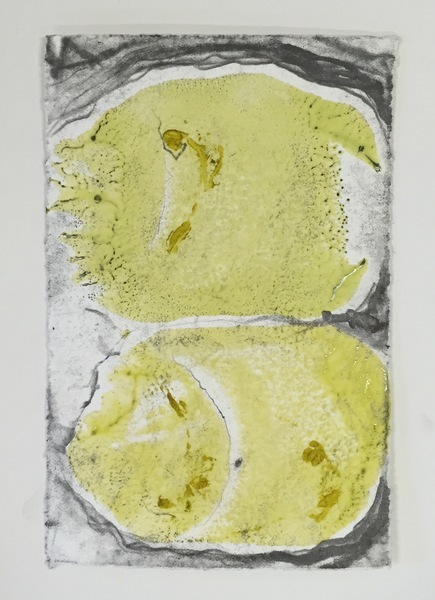 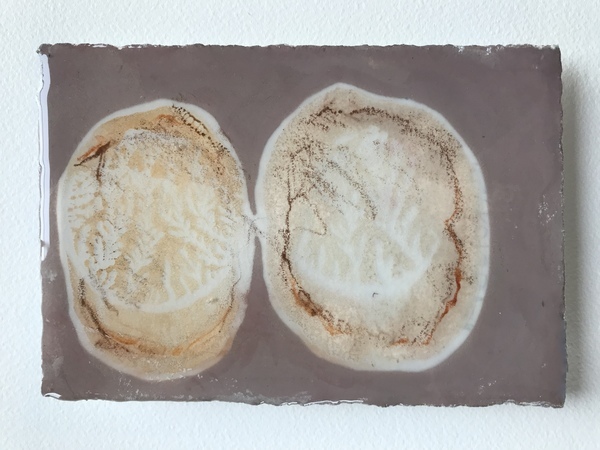 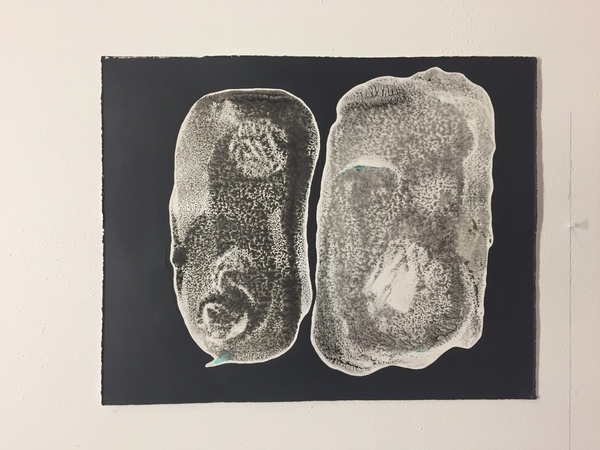 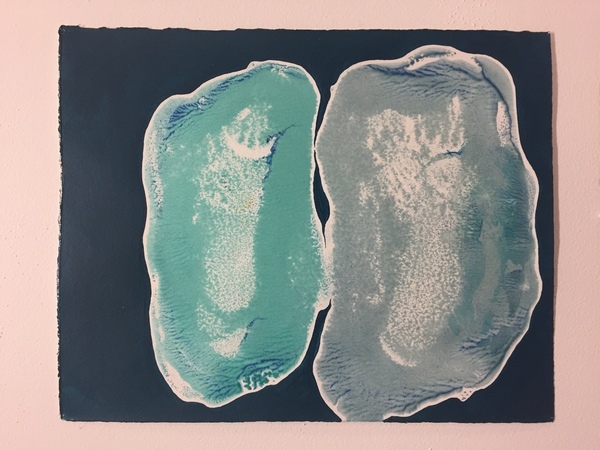 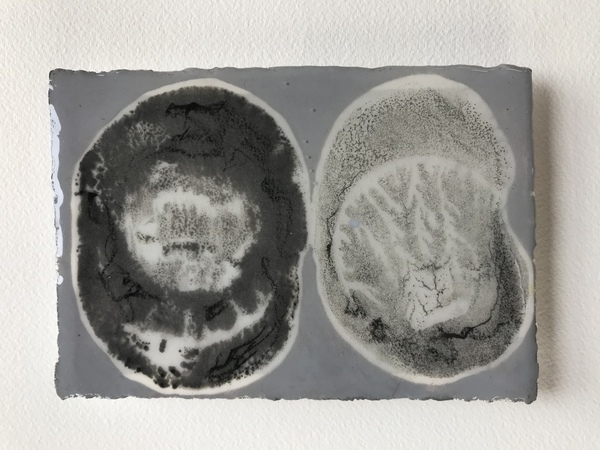 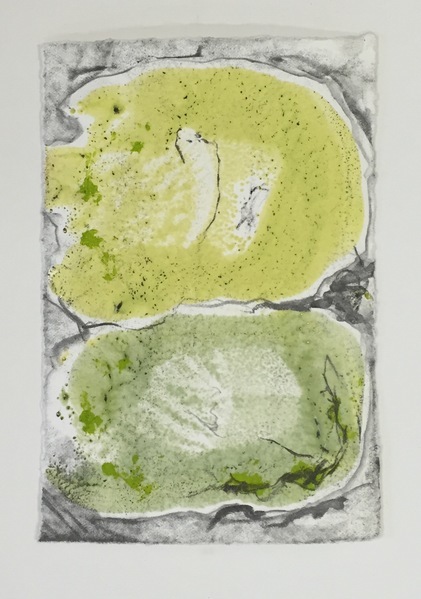 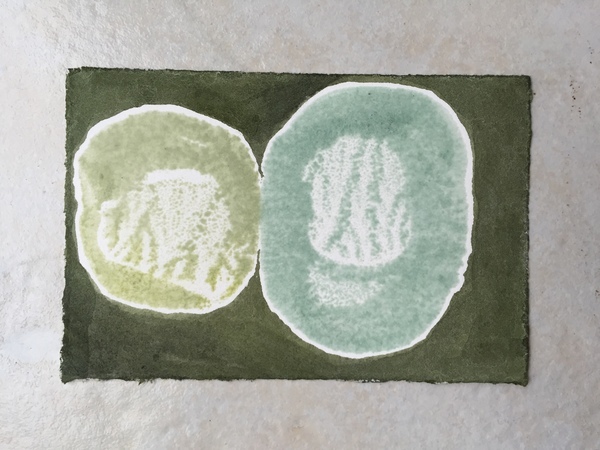 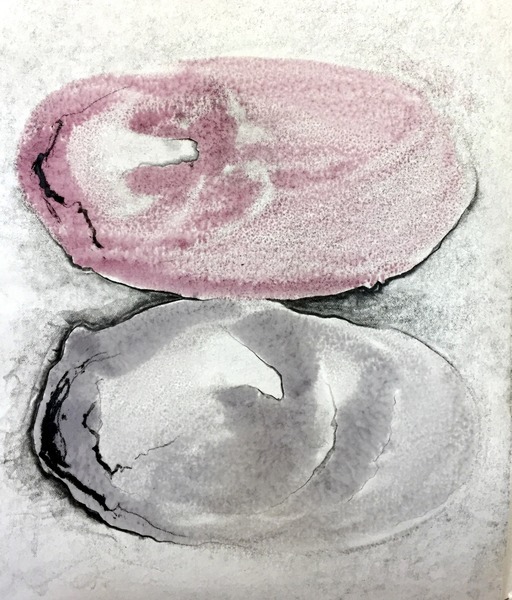 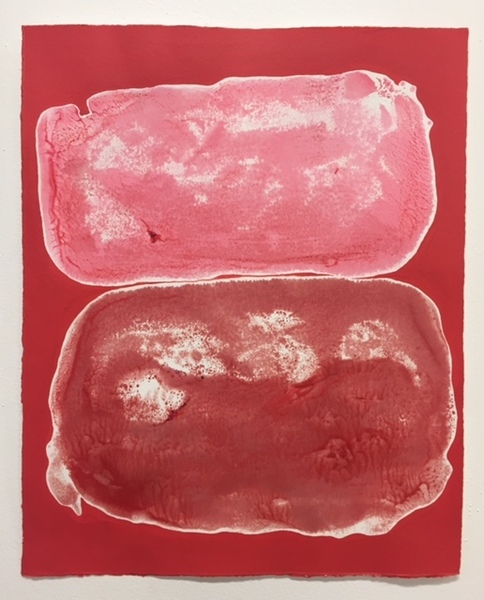 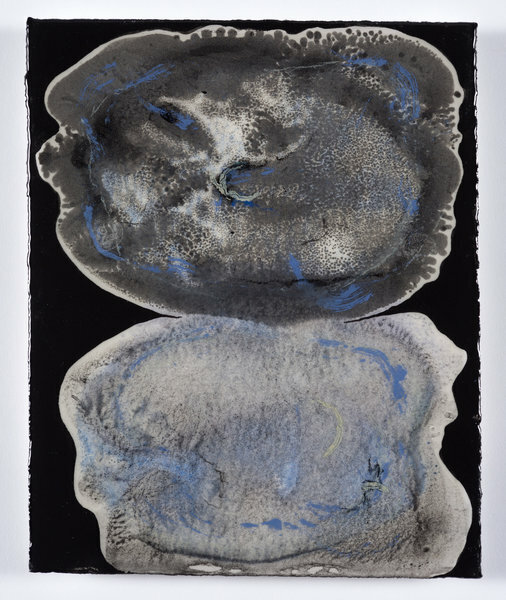 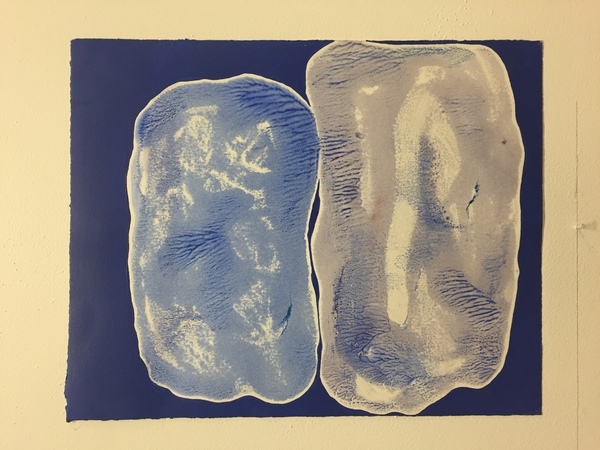 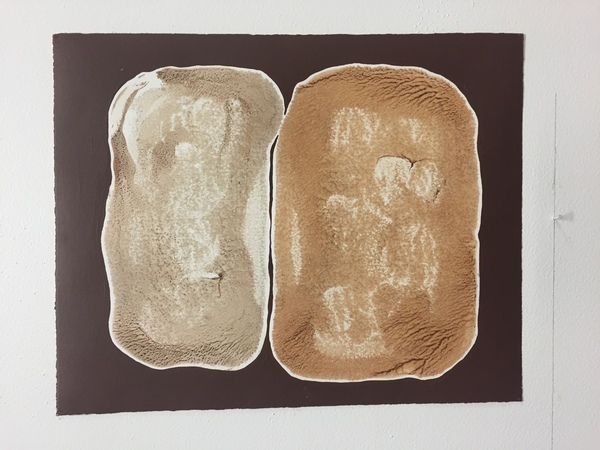 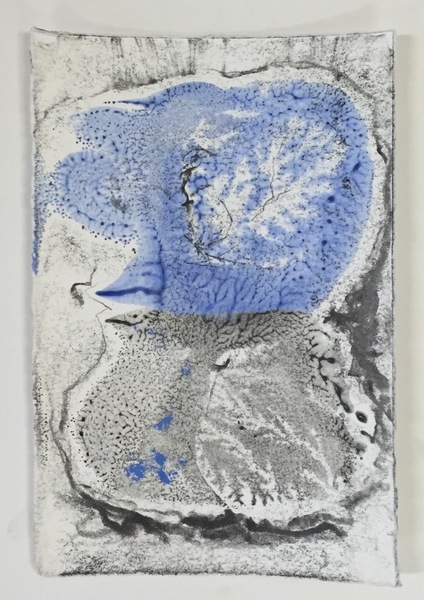 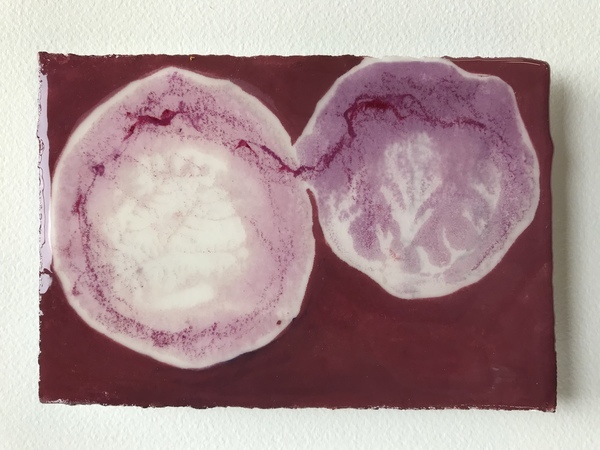 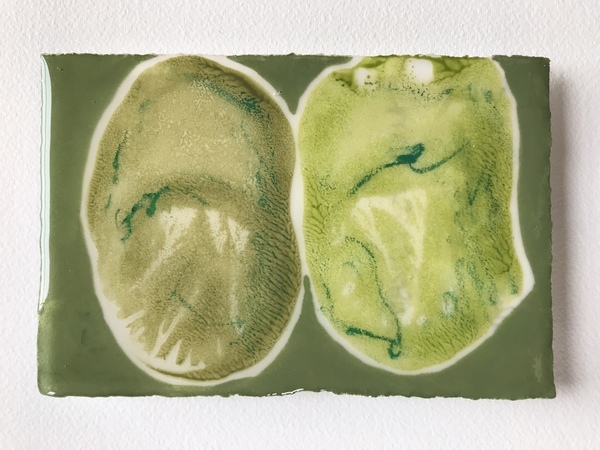 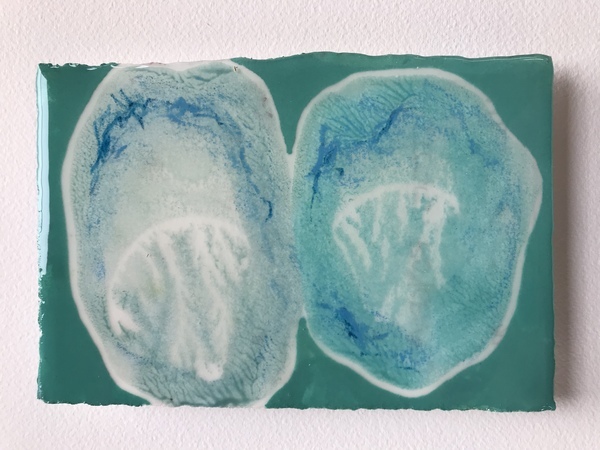 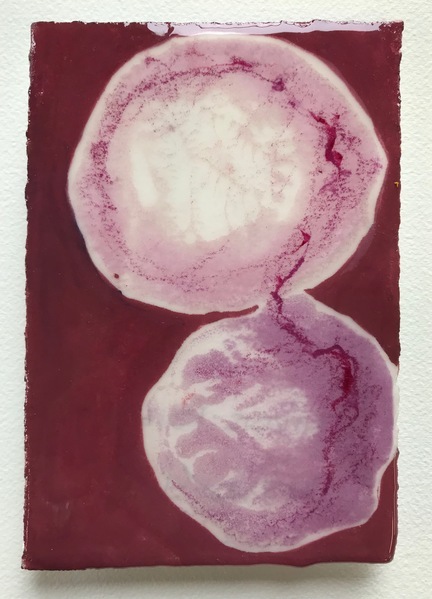 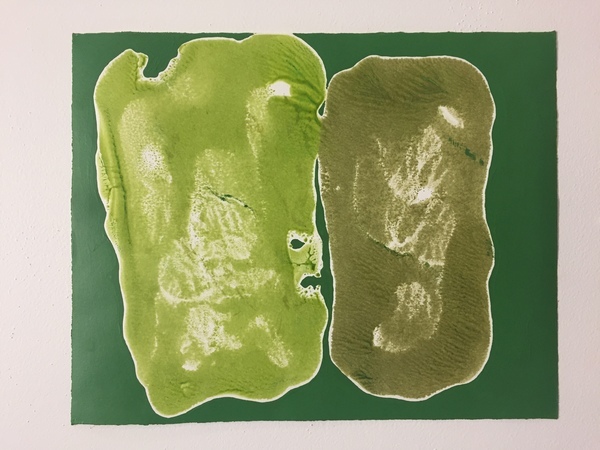 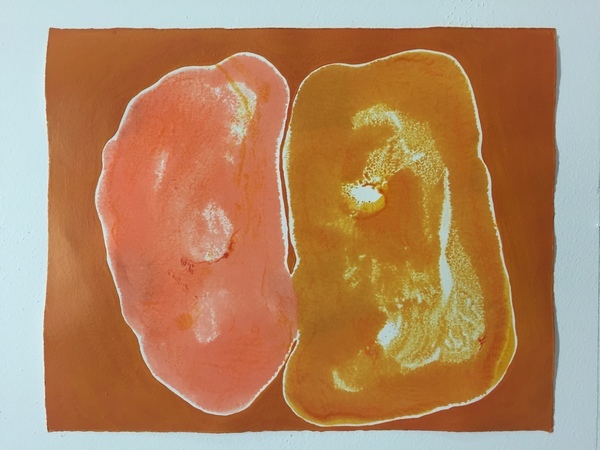 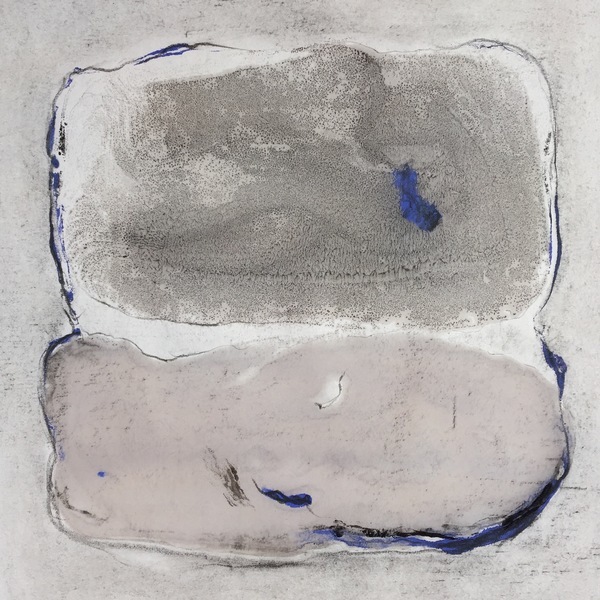 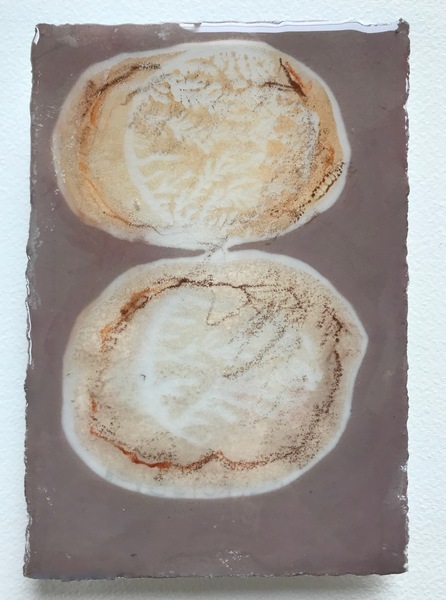 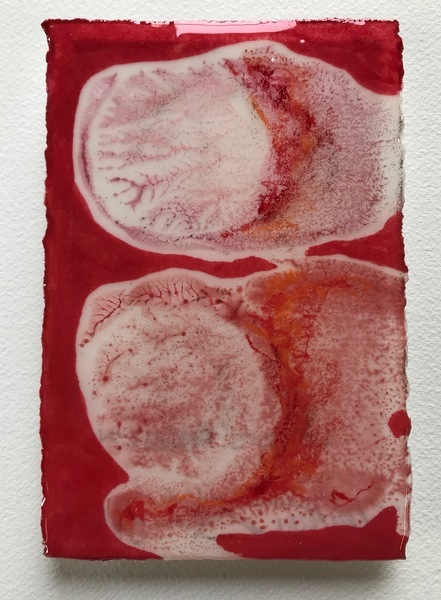 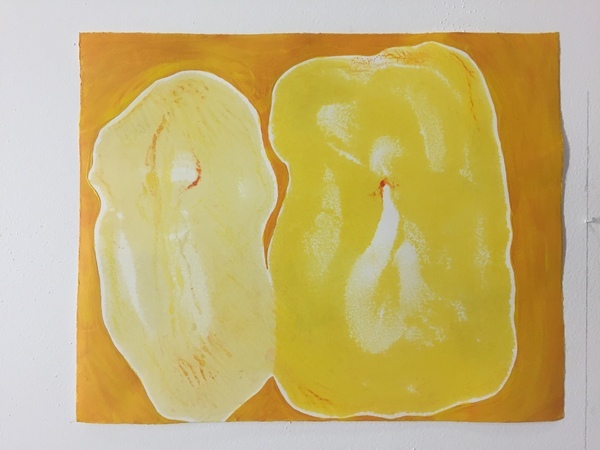 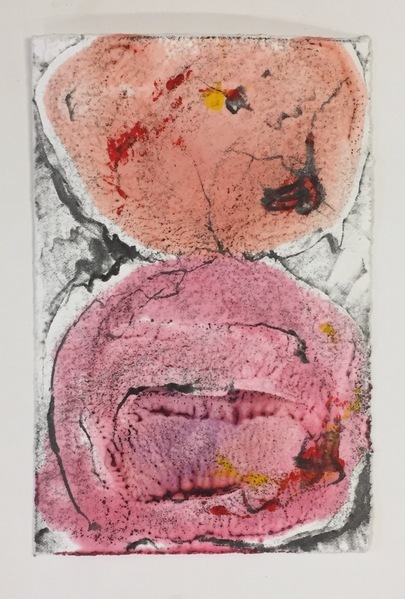 Inspired by my oldest son leaving for college for the first time, this body of work is part of an ongoing series of hand drawn encaustic monotypes on paper called, "Mitosis." 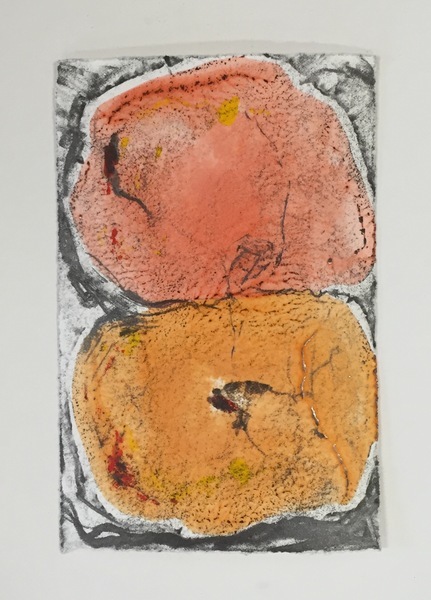 I struggled to reconcile the simultaneous feelings of connection and separation. 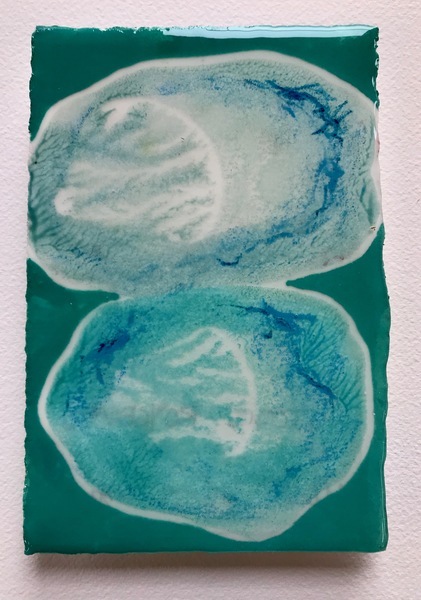 While searching for this emotional phenomenon in the physical world, I was reminded of the biological term for cell division while visiting a friend in her science lab. 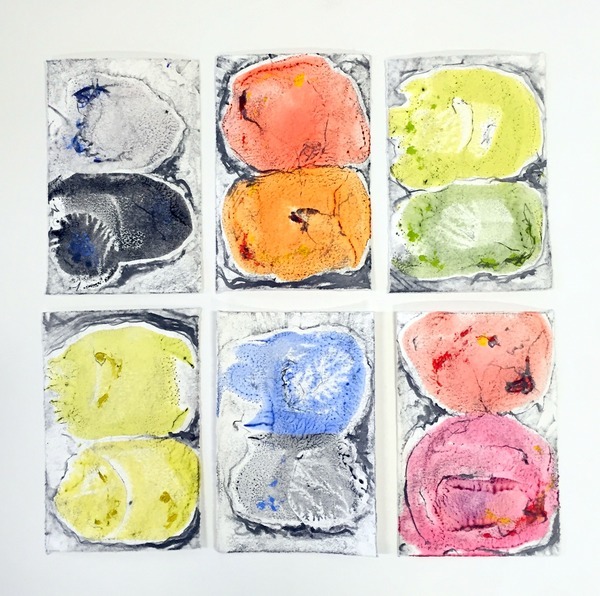 These colorful images visually reference the connections we inherently have with one another at the micro and macro level. 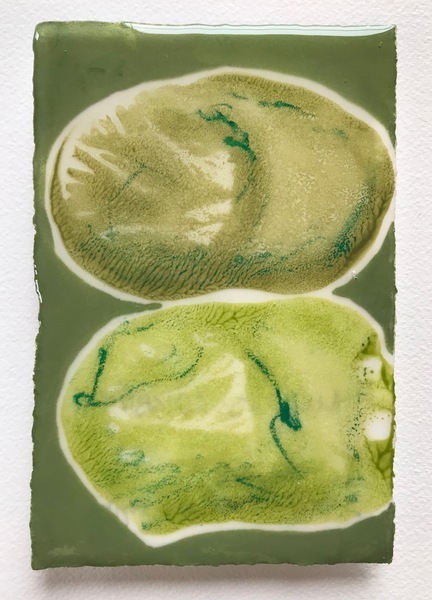 Like looking through the lens of a scientists' microscope, or peering into the dividing cells in a Petri dish, these images force the viewer to contemplate the ways in which we are bound and linked to our biological heritage both past, present, and future.